Relations between the Netherlands and South Africa date back centuries. South African Minister for International Relations and Cooperation, Maite Nkoana-Mashabane hosted her Dutch counterpart Foreign Minister Bert Koenders in Pretoria. On the bi-lateral front, the minsters have agreed that good progress has been made in a number of fields which include science and technology, agriculture, the blue ocean economy and security. 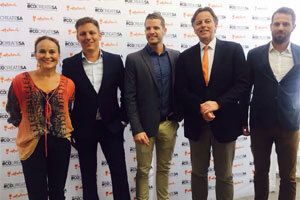 Nkoana Mashabane said that the Netherlands remains Pretoria’s key economic partner. According to trade rankings from January this year, the Netherlands was ranked South Africa’s 8th largest export partner in the world and second largest export partner in the EU region. While the visit comes at a time when South Africa’s economy is facing serious challenges due to two recent credit rating downgrades, Koenders says Pretoria can resolve the issues. On the political front, South Africa congratulated the Netherlands on its election to the UN Security Council as a non-permanent member for 2018. Nkoana Mashabane says South Africa is confident that the Netherlands will be able to contribute to the mandate of the council regarding the maintenance of international peace and security.